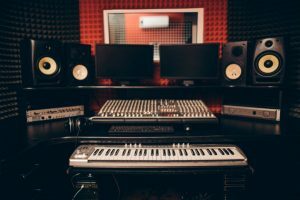 Setting up a professional studio or your own in-home sound system can be a daunting task. Nevertheless, with the right equipment, you can create an immersive experience for your listening pleasure. 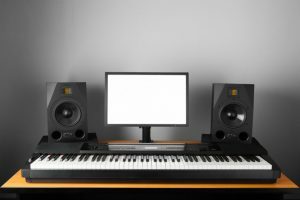 When it comes to finding the best studio monitor stands, you’ll not only need to find ones that look great but are also versatile. Additionally, the right set should give you an ample amount of stability and durability. If you’ve never had to buy any monitor stands in the past, you may assume that they are all built the same way. However, this is surely not the case. You’ll want to make sure that you find studio monitor stands that can securely hold your speakers with ease. Additionally, it’s also important to find monitor stands that are easy to set up and easy to take down. They should be simple to install as well. Most of all, your chosen studio monitor stands will need to offer a superior listening experience with adjustable features that you can rely on. Below are three top-tier monitor stands to choose from for different sized speakers. The Harmony Audio HA-BKSPKS Stands are a fantastic option for someone who is looking for an adaptable and easily adjustable set of monitor stands. They feature stands that are easily adjustable to accommodate small, medium, and large speakers. Moreover, you’ll also find that their listening range is quite versatile as the base is fully adjustable. There are plenty of additional features you’ll want to put to good use as well. If you’re looking for a studio monitor stand that accommodates all sized speakers, this is one of the better options to choose from. The base measures in at nine and ¼ by eight and ¾ inches. Listening range is essential for creating the most jaw-dropping audio possible, which is why you’ll like that the base height of these stands is fully adjustable. You can adjust it from 26 ½ inches to 43 ¼ inches depending on where the speakers will be placed. This level of adjustability also gives you the ability to ensure that the speakers aren’t blocked by furniture or other obstructions, resulting in a more enjoyable listening experience. Once you’ve found the ideal placement and adjustments for the stands, you can easily lock them in place with the intuitive locking pin technology. All you have to do is engage a single push button to use the locking mechanism. We know that it can be quite frustrating to set up your sound system only to experience spur-of-the-moment speaker drops. With the locking technology of these stands, your equipment will stay in place until you manually adjust it. The base of each stand features three legs, which are optimal for support and stability. This is especially important if you’re working with relatively heavy speakers, as you won’t want the stands to wobble. What’s more, you’ll also find that the tripod legs take up less of a footprint than other studio speaker stands. This makes them ideal for large and small spaces alike. Every part of the stand is designed with attention to detail, even the materials used during manufacturing. Crafted out of tubular steel, you can guarantee the stands will offer the durability you expect from high-end options. Before installing your speakers, be sure to affix the foam EVA anti-slip pads to the stand. This will prevent the speakers from sliding across the top of the stand. The Ultimate Support MS-90/36B Monitor Stands are designed similarly to the previously mentioned Harmony Audio stands. However, they appear to be far more compact, making them a better alternative for smaller spaces. 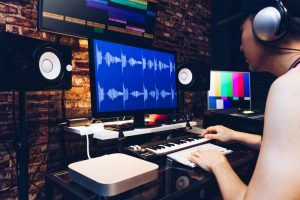 There are also a couple of other features that might pique your interests including decoupling and sonic installation. 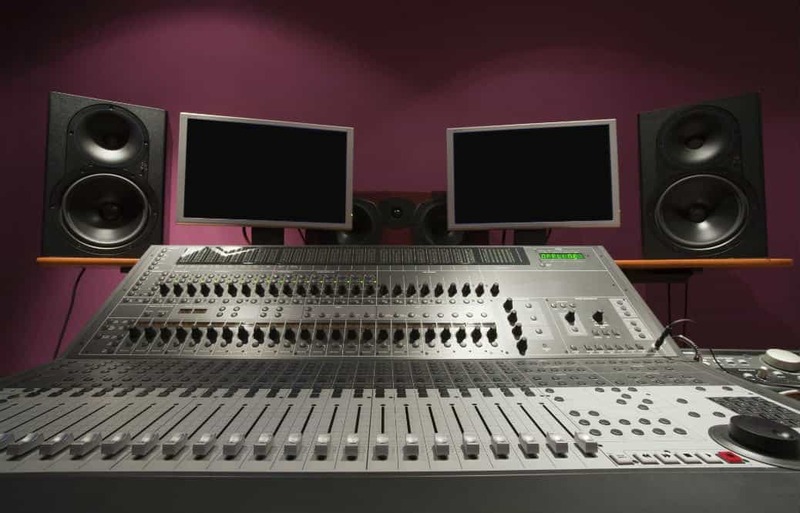 However, there aren’t as many adjustable features, which could prove to be difficult for some studio owners. Inside of the columns on the stands, you’ll find three separated chambers. One chamber is recommended for audio cables, the second is useful for power cables, and the third can be filled with ballast. Crafted entirely out of aluminum, the columns of the Ultimate Support MS-90/36B Monitor Stands help to shield the cables. It also helps to provide an ample amount of sound insulation, especially when you install a ballast of your choosing. There are four separate layers of decoupling integrated into these speaker stands. This helps to limit the amount of vibration from louder audio. Additionally, this adds to the phenomenal sound insulation of the stands for the purest listening experience possible. There are two different heights that you can choose from when you’re setting up these monitor stands. You can choose from either 36 inches or 45 inches. You can also customize the angle and tilt of these stands. This is a feature you’re likely to appreciate if you’re creating an aesthetic studio space or home system. You’ll be able to get the Ultimate Support MS-90/36B Monitor Stands in either black or red. Depending on where you intend on placing the monitor stands, you can change the type of feet for each one. There are soft feet included for hard floors such as hardwood and tile. If you intend on setting them up on carpet flooring, you can switch to a spiked foot for optimal stability. 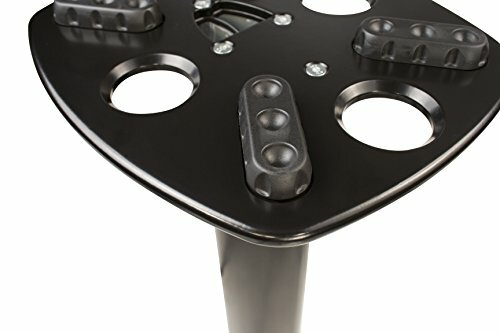 As another pair of monitor stands available from Ultimate Support, these studio monitor stands have a more practical look. If you’re attempting to create a more raw and industrial environment, these are a fantastic option. 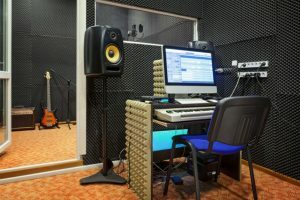 You’ll also find that they have the same level of customizability as Harmony Audio stands and with the quality of the MS-90/36B monitor stands. 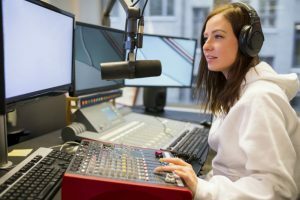 They appear to be the best of both worlds for both home entertainment centers as well as studios. 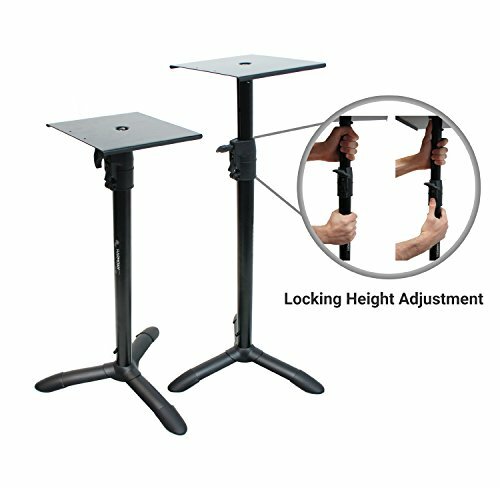 You will have full control over the height adjustments of these monitor stands. This is what makes them preferable to the MS-90/36Bs, as you have more than two heights to choose from. 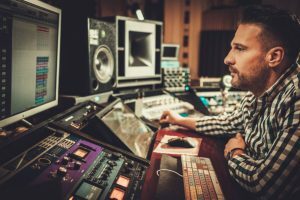 To take advantage of this feature, all you need to do is use the knob on the side of the column to select the right positioning for your studio monitors. Once you have decided on the specific height that you want your stands to have, you can use the locking pin technology to keep it in place. This helps to prevent the columns from randomly collapsing and throwing your speakers to the floor. 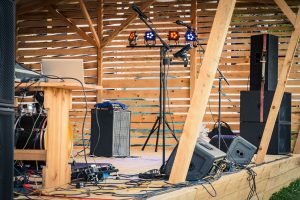 This technology also helps to ensure that the top of the stand has the stability it needs for supporting small- to medium-sized speakers. One of our favorite features of the Ultimate Support JS-MS70+ Monitor Stands is their low-profile design. If you’re looking for a stand that can easily fit into smaller areas, this is one of your best options. Moreover, you will find that the legs can easily slide underneath furniture or be tucked into a corner. This makes it even more easy to set up. In the event that you ever have to take your audio system down, you’ll appreciate how easily these stands fold away. The bases are able to fold completely, making them substantially easier to store. This is one of the most convenient features to find in the best studio monitor stands. 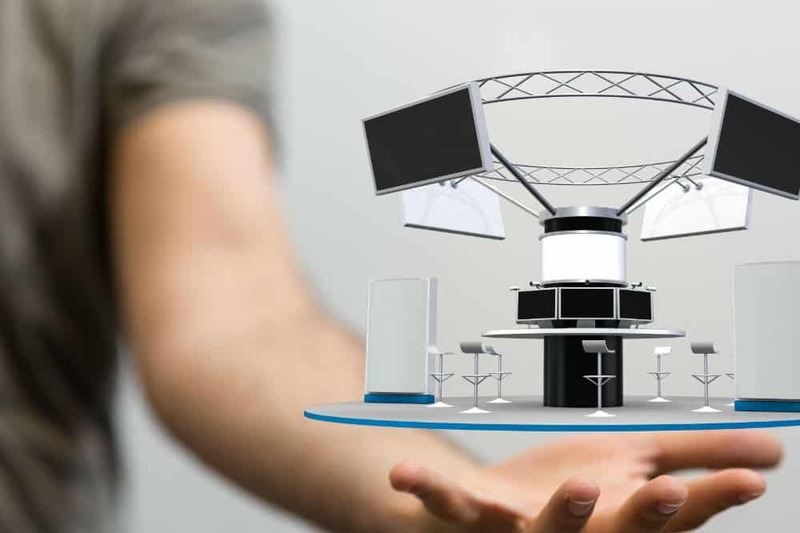 The Ultimate Support JS-MS70+ Monitor Stands have a moderate weight capacity. When compared to other monitor stands, they don’t handle the most weight. However, they’re useful for most monitors. You’ll be able to hold up to 50 pounds per stand at the most. No matter if you’re creating your own home theater or if you’re setting up a recording studio, we highly recommend the Harmony Audio HA-BKSPKS Stands. They offer superior durability, a higher level of customization, and a great aesthetic that will look awesome in any environment. We especially appreciate the anti-slip mats that you can install to the top of the stands to prevent slippage. We also found that they offer the highest level of customization in that you’ll easily be able to choose the perfect height for an immersive listening experience without obstructions. 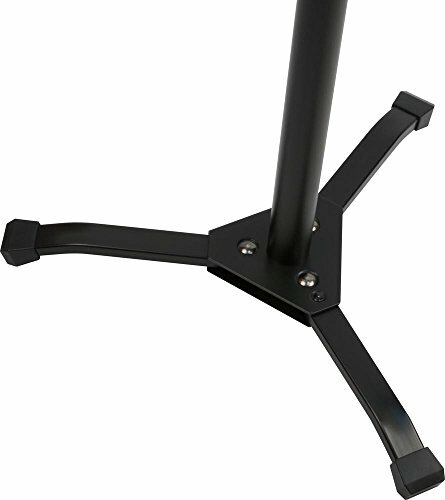 The tubular steel columns and pin locking technology are two additional features that speak to the quality of these studio monitor stands. 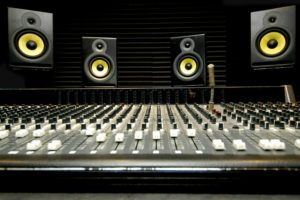 Once installed and adjusted, you’ll feel comfortable housing your expensive sound system. 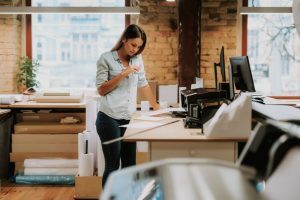 Overall, they’re the highest quality stands on this list and will be well worth the investment.